NOTE: This content is old - Published: Monday, Mar 19th, 2018. 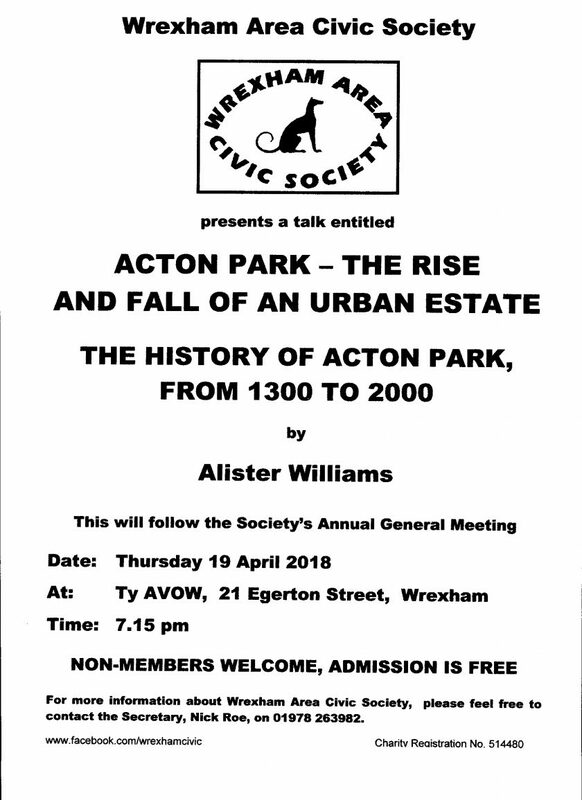 The Wrexham Area Civic Society is hosting a presentation by Alister Williams. This is entitled “ACTON PARK – THE RISE AND FALL OF AN URBAN ESTATE: THE HISTORY OF ACTON PARK FROM 1300 TO 2000”. Alister Williams is well-known as the author of many books about the Wrexham area , including “The Encyclopaedia of Wrexham”. The society welcomes visitors, entrance is free. Read 1,152,834 times in last 30 days, and 73,928,715 times since we started in 2011.